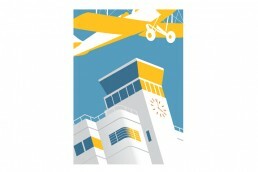 Part of the ‘Beautiful Shoreham’ series of designs, this iconic Art Deco style building was opened on 13 June 1936. 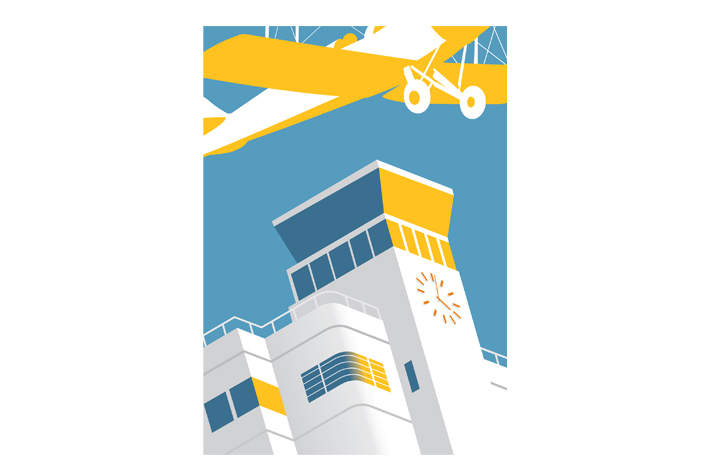 Inspired by the 1920’s and 1930’s travel posters, this design celebrates the early decades of commercial and domestic flights from this historically significant airport. It is still in use today and is a Grade II listed building.